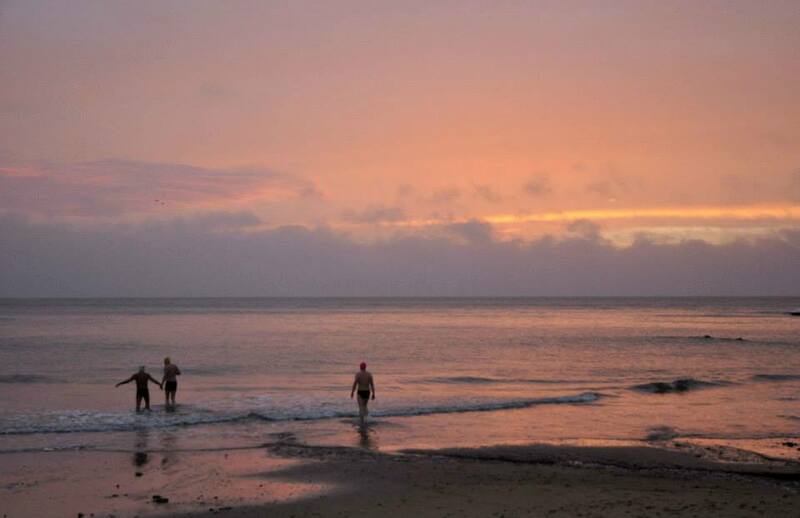 Great to have seven swimmers at dawn in January. A big change from last year. 8.6c on the watches for the sea temp and it was very mild on land, so not bad at all for a Winter swim. We got to the Dutchman quickly, with a bit of a haul coming back into a rising Westerly wind. Siobhan was following up her Friday swim and brought the camera, of course. A less common shot of Siobhan in front of the camera. Apparently the prescription goggles are great for cutting onions too. Good to see that Bernard is shooting up these days – or is he on his tiptoes again? Siobhan with her specially purchased cheap swimming Uggs. And two passing swimmers. Gary & Niamh have an ongoing race apparently, but they took a morning off from it on Saturday. Niamh O’Connor & Gary Frost – no racing today. 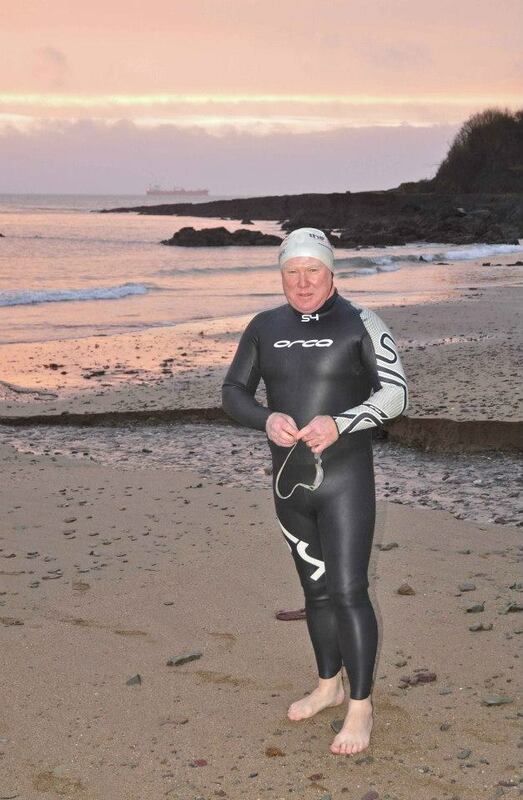 No matter what day or time you turn up in Myrtleville this Winter, Denis Condon is either in the water, just out or ready to go in with you. He’s hardly missed a day. 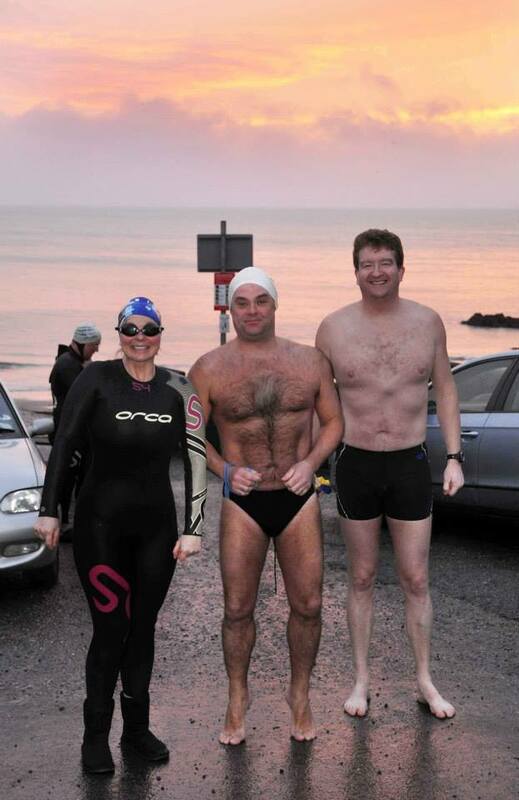 Denis Condon – swimming in Myrtleville more than anyone this Winter. 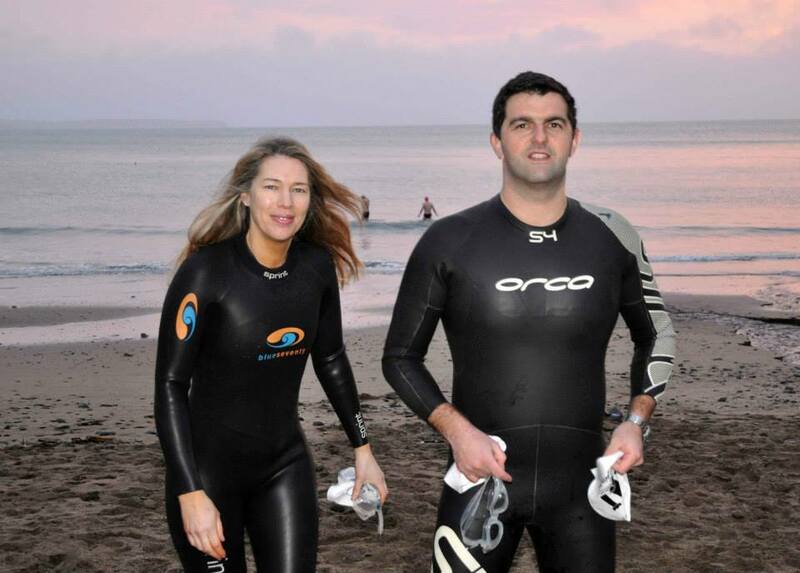 This entry was posted in Information, Swimming Times and tagged Open water swimming - Cork, Open water swimming - Cork - Ireland, prescription goggles, Sea swimming - Cork, Sea Swimming - Cork - Ireland by myrtlevilleswimmers. Bookmark the permalink. Lovely swim out to dutchman and back for most of us. Damian is fast catching up with Finbar in his cold water acclimatization and was in for nearly an hour. Thought it was toasty. Head to head my A**. The only bit where we’d be head to head would be when Finbarr pulled me out life-guard style with hypothermia – while he was merely starting to feel only slightly warm, rather than hot. It’s far from Finbarr’s level I’m at.